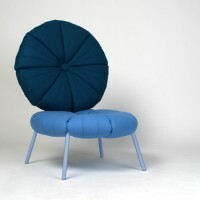 Germany-based designer Karoline Fesser has created the Woonling Collection. 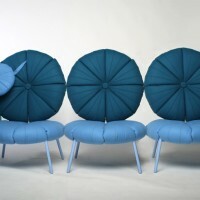 The Woonling Collection is a furniture concept that explores changing living- and room situations. 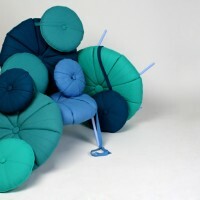 Just like living organisms the green algae inspired cushions can build various structures. T-squares, flat connectors and furniture feet can be plugged in the ports between each of the radial facets. 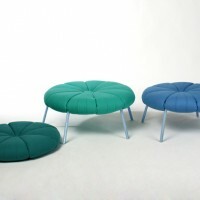 First there is one cushion which can be used as an ottoman. By embedding feet it becomes a taboret. 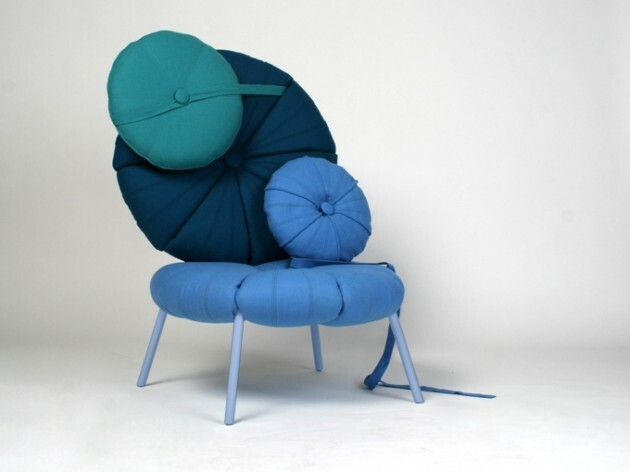 A set of two cushions results in an easy chair. 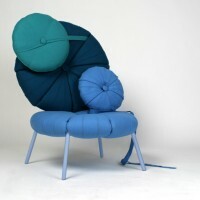 This can be multiplied to a sofa which grows to a longer sofa, for a bigger family. Visit Karoline Fesser’s website – here.